Magnet of Love (The Secret Quotes) | Law of Attraction Plus: The Secret revealed! To create the life of your dreams, the time has come for you to love You. Do all the things that make You feel good. Love You, inside and out. 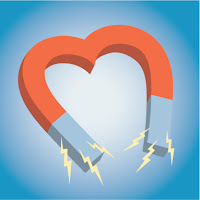 To be a magnet for every single thing you deserve, you must be a magnet of love.